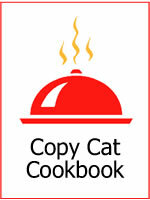 Published December 4, 2008 at 150 × 200 in copycatrecipe1. Duplicate your favorite brand-name foods at home with common ingredients. Fool your friends with easy-to-make, original recreations designed in our Top Secret Lab!